The Cathedral’s organ sits at the heart of our music, supporting all who sing here and inspiring all who journey here. This beautiful instrument has reached the end of its performing life, placing impossible restrictions upon our music team. From 2020, the refurbished instrument will have a new, relocated console, with four manuals and 89 stops giving voice to over 6,000 pipes. The stops (ranks of pipes) allow a kaleidoscope of sounds to shine through. Each pipe, from the smallest to the largest will add to this wonderful instrument, enhancing the voices of all who sing within these walls. 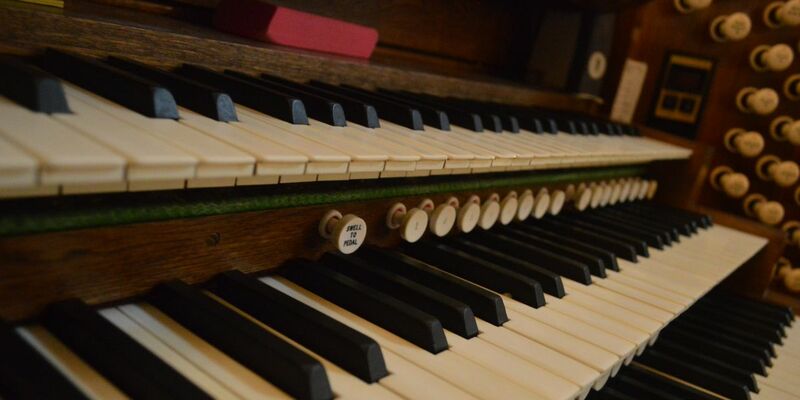 You can sponsor a pipe, selection of pipes or a stop of the organ at a range of levels; from £50 for pipes in smaller stops to £10,000 to help reinstate the 32ft pipes removed in the 1970s. Visitors to the Cathedral can find out more about the works and make a contactless donation of £10 directly to this urgent project through the dedicated hoardings. Having known this organ for such a long time it will be sad to say goodbye to a good old friend but I am looking forward to its return in its newly refurbished form. It is a very exciting project. To realise your support please choose from one of the following options. If you would like to speak to someone about Adopt a Stop! or would like to pay via a different method (e.g bank transfer) please contact Alex Madgwick, Patrons and Planned Giving Fundraiser, by email or by telephone on 01227 865349. For more information about how we use your data to carry out our work, view our Fundraising Promise. We enjoy keeping our supporters updated by post. However, keeping in touch by email can really help to reduce our costs. Please let us know your preferences. Thank you. The Government allows charities to claim back tax on donations. This tax relief is called Gift Aid. For every £1 donated, the charity currently receives £1.25 when you add Gift Aid. Please gift aid my Adopt a Stop donation. I am a UK taxpayer. I understand that if I pay less Income Tax and/or Capital Gains Tax for each tax year (6 April to 5 April) than the amount of Gift Aid claimed on all of my donations to charities or Community Amateur Sports Clubs (CASCs) in each tax year, then it is my responsibility to pay any difference.